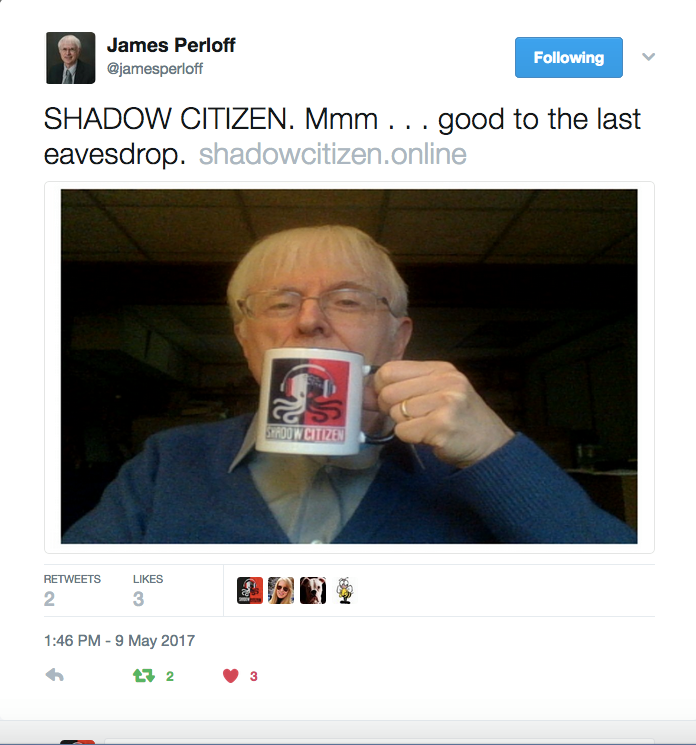 Shadow Citizen Guest, author and historian James Perloff enjoying his favorite beverage. 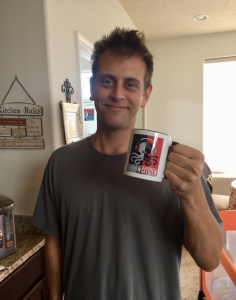 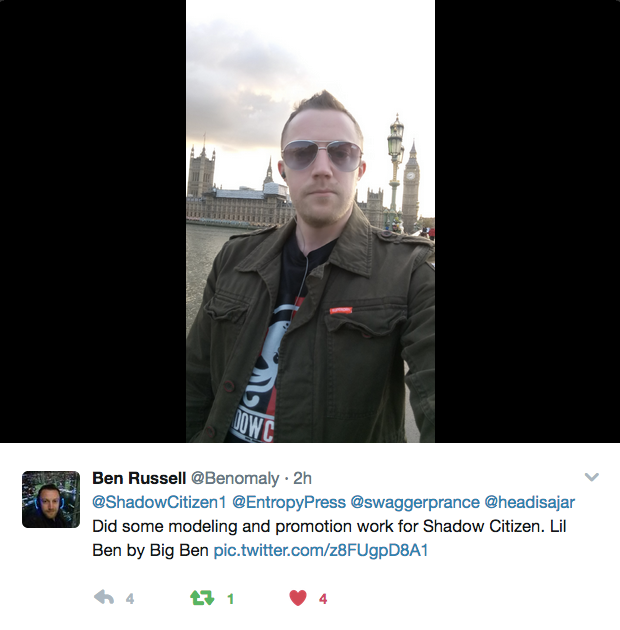 Guest Ben Davidson, the most famous Suspicious0bserver, says “Eyes open. 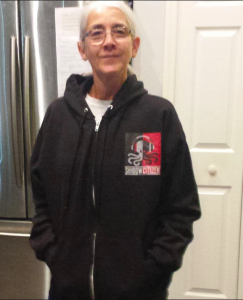 No fear. 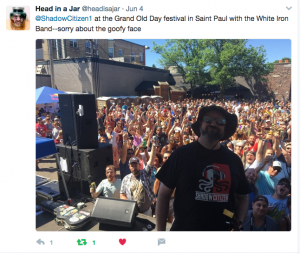 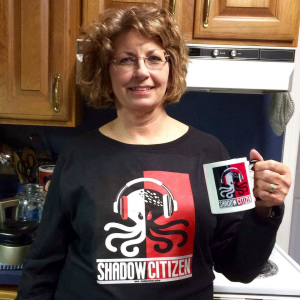 Stay safe everyone,” while holding his Shadow Citizen mug. 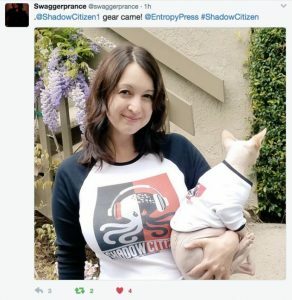 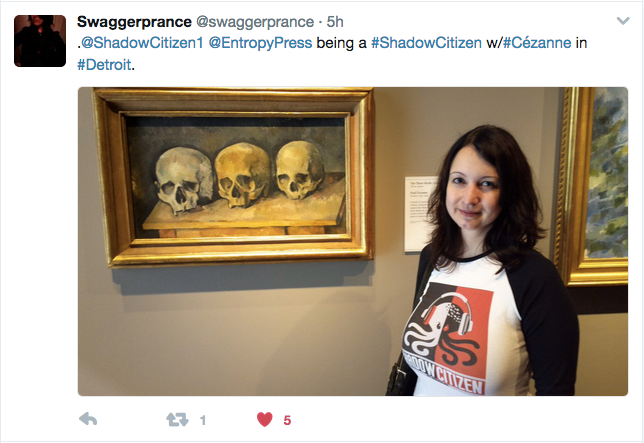 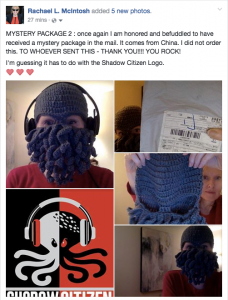 even the hairless cat is a ShadowCitizen!